Tales and thoughts of a woman’s motorcycle adventures down under! A really inspiring story! Well-written and full of really recognizable situations if you have ever traveled on a motorbike. Been reading this for inspiration in the outback. She’ll be right! 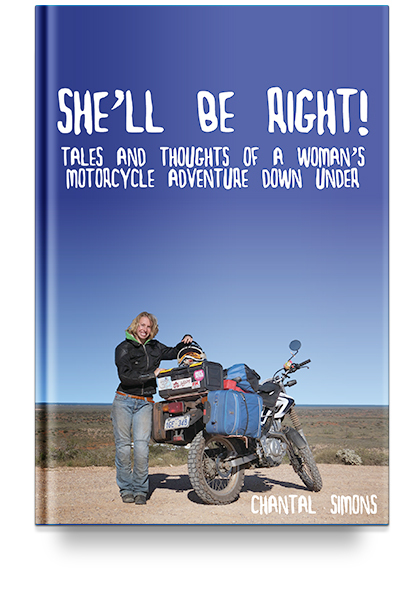 A cracking adventure tale of Chantal Simons’ (of Chick on the Chook Chaser fame) lap of Australia by motorcycle.